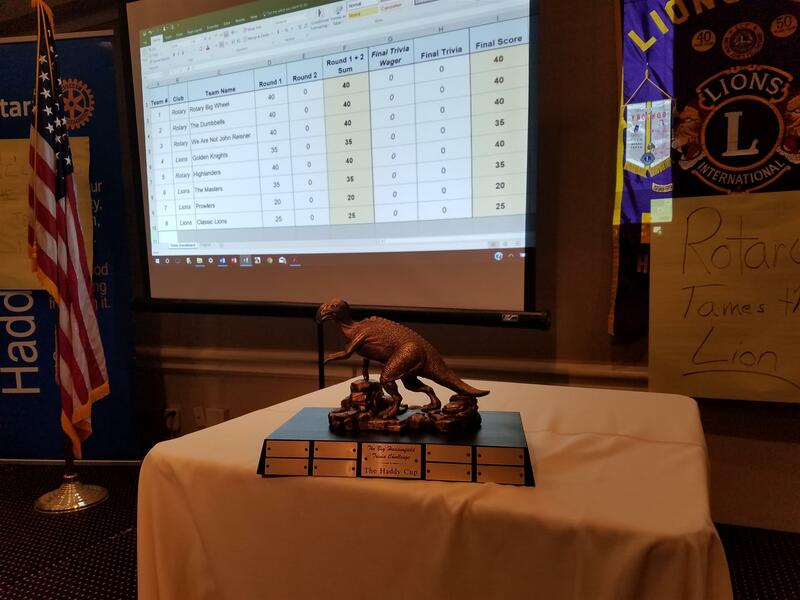 The Rotary Club of Haddonfield and the Haddonfield Lions Club competed in the Big Haddonfield Trivia Challenge last night -- a first time ever combined meeting of the two clubs. The evening turned out to be lively and great fun, with just a bit of trash-talking to inspire the competition. After all -- we're all friends, and share the same goals to help our communities. 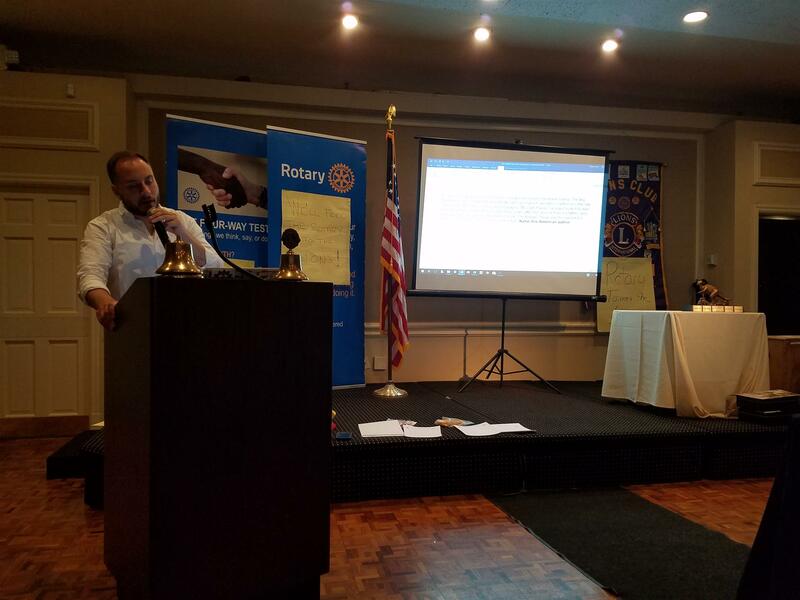 In fact, Rotary also took home $300 to support its important causes. 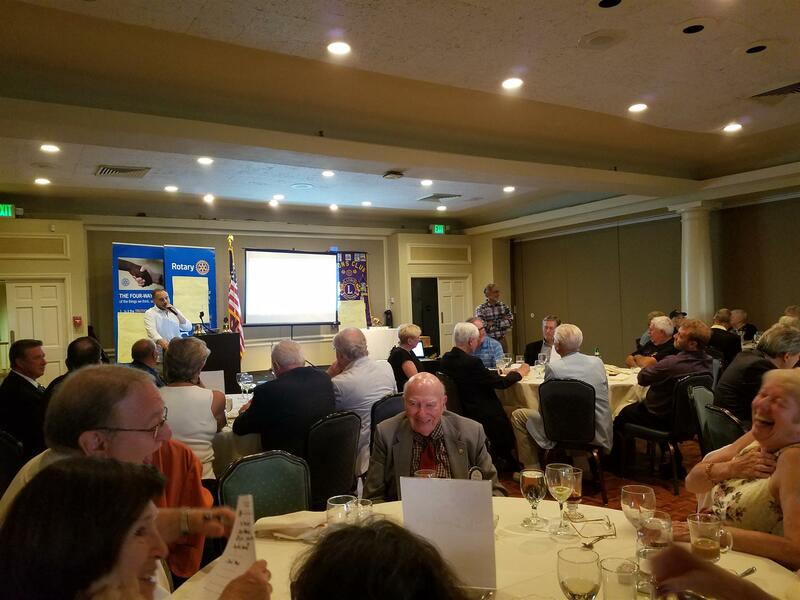 Thanks to Matt Skoufalos, Editor of NJ Pen, for serving as our emcee (and creating all the questions), King Lion Bob Stokes, and Rotarian Charles Hart for making the evening such a success. And, very special thanks to the 27 Rotarians who came out in force with their "thinking caps" on, to meet the challenge. Great job everyone! 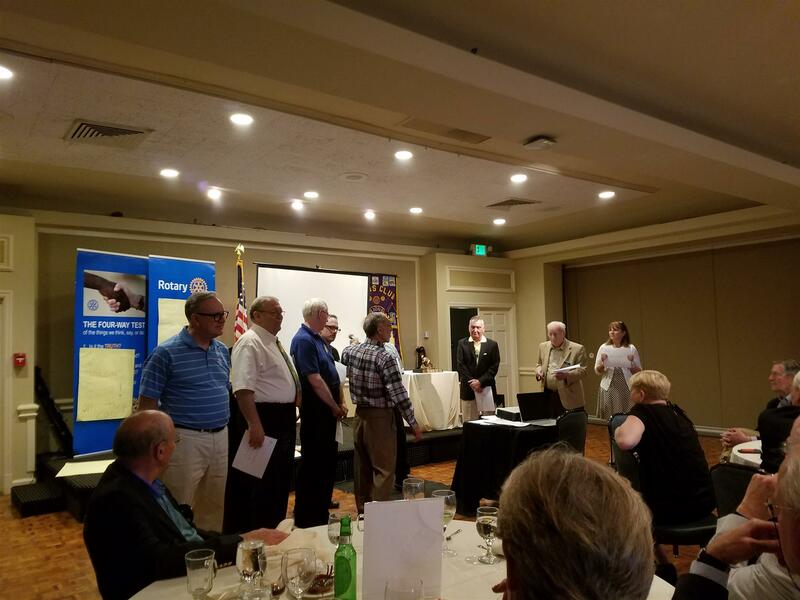 Way to go Rotary!